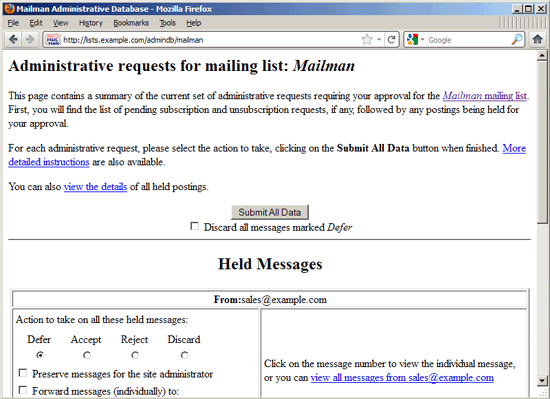 Mailman is an open-source mailing list manager, i.e., it can be used to manage email discussions and newsletter lists. 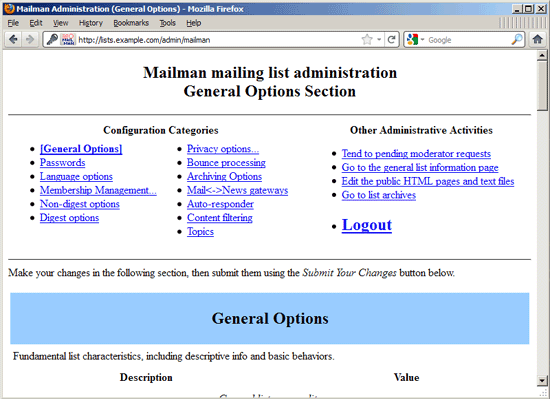 It is probably the most popular and widely used mailing list manager on the Internet. 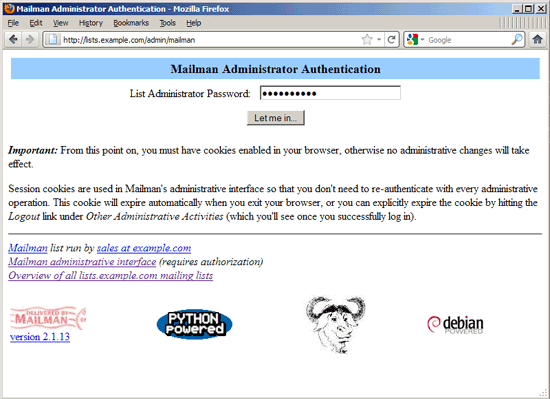 This tutorial explains how to install and configure Mailman on a Debian Squeeze server with a Postfix mail server. 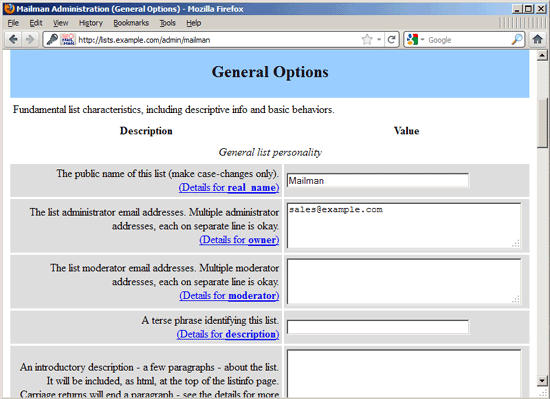 In this tutorial I will configure a virtual host with the hostname lists.example.com where I will install Mailman. 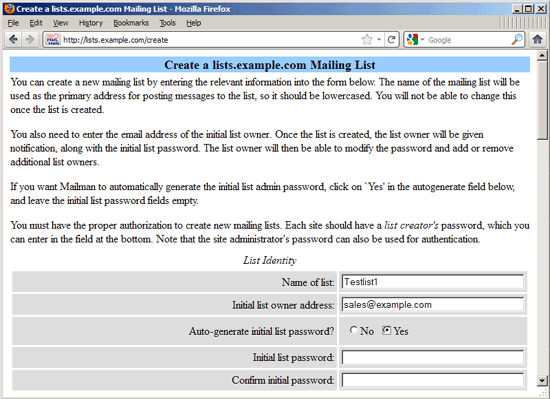 lists.example.com is also the right part of the mailing list email addresses that will be configured in Mailman, i.e., mails to a mailing list will have to be sent to the address <listname>@lists.example.com. As your hostname will be different, please adjust this tutorial accordingly. Also make sure that your hostname exists in DNS. 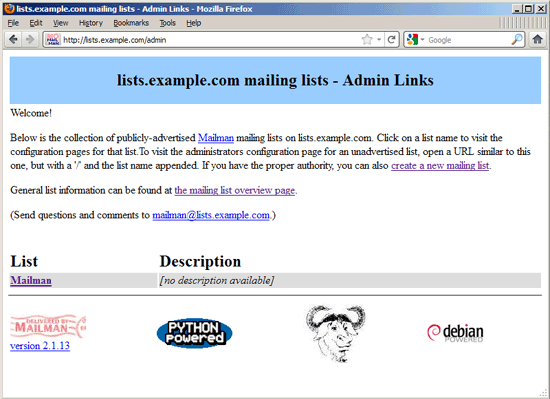 The second to last line ScriptAlias / /usr/lib/cgi-bin/mailman/listinfo is optional; it makes that when you go to http://lists.example.com/, you will be redirected to http://lists.example.com/listinfo. This makes sense if you don’t have any files to serve in the document root /var/www/lists. 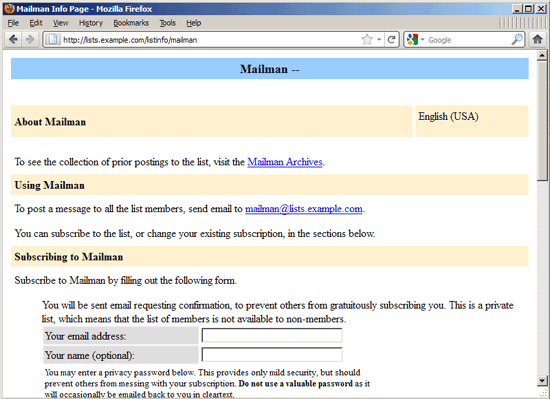 Next we must associate the lists.example.com domain to the mailman: transport. How you do this depends on your Postfix configuration. 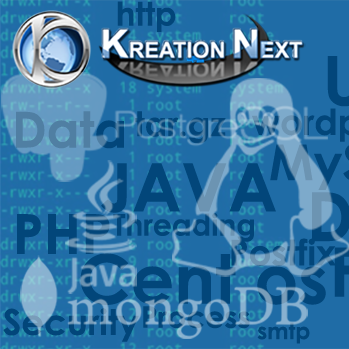 For example, if you have set up your server according to the Virtual Users And Domains With Postfix, Courier, MySQL And SquirrelMail (Debian Squeeze) tutorial, transports are stored in a MySQL database; in most other setups, the file /etc/postfix/transport is used for creating transports. I am going to describe both cases in chapters 3.1 and 3.2. In most cases the –urlhost and –emailhost switches are not necessary because our vhost is already named lists.example.com, and we also have it in /etc/mailman/mm_cfg.py (DEFAULT_EMAIL_HOST and DEFAULT_URL_HOST), but if you want to go sure that Mailman uses the correct hostname, use these switches. From now on, we can use the Mailman web interface to manage Mailman (with one exception – whenever you create a new mailing list, you have to add new aliases to /etc/aliases manually on the command line). on the command line because otherwise you will the error message Error: You are not authorized to create new mailing lists when you try to create a mailing list through the web interface (I suggest you use the same password – mailman_password – as in the newsite command in chapter 4). `newaliases’ may also have to be run. 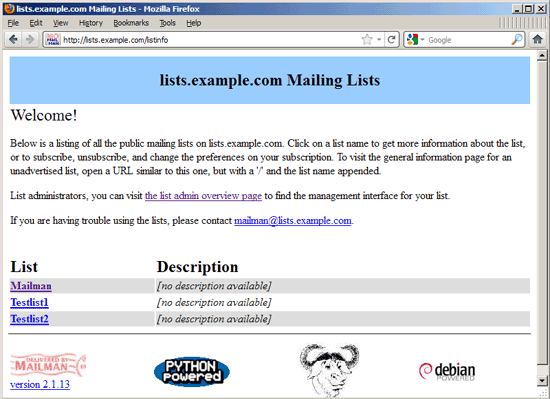 The email address of a new list is always <listname>@lists.example.com, e.g. 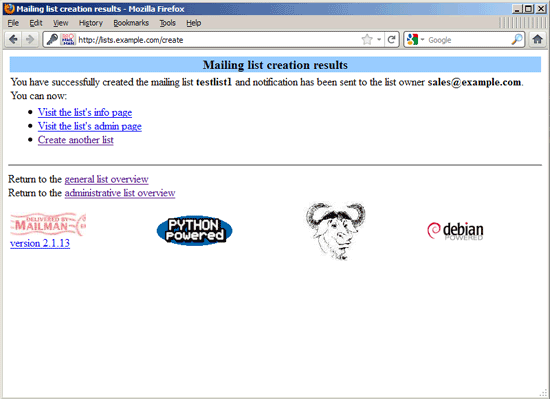 testlist1@lists.example.com or testlist2@lists.example.com.